Small Business Marketing Ideas: 10 Ways You Can Get More Customers Today » Audio Transcription Services - High quality audio transcription services. The way business is conducted continues to rapidly change with the constant development of new technologies for providing services, interacting with customers, and operating efficiently. Despite the constant flux, however, once thing remains the same: in order for your business to succeed, you must market it well. Regardless of how innovative or well-oiled your small business is, it will not take off unless you are reaching new customers and creating a solid reputation for yourself. These ten tips will help you harness the best interpersonal and technological tools for marketing your business effectively. Let your reputation precede you. 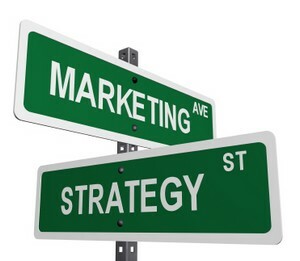 Who you are and how you do business matters to your marketing strategy. The most aggressive marketing campaign can fall flat if rumors peg you as shady, evasive or a bit dishonest. Always do what you promise- maybe more, but never less. Leave your customers feeling good about every transaction and they will put the word out. Give reasons for referrals. There are dozens of techniques you can use to implement your small business marketing ideas. However, experts agree that one of the most affordable and most effective marketing strategies is word-of-mouth advertising. Provide your current client list with perks and they will be even more likely to spread the word that your company is worth looking at. Referral bonuses can include discounts, credits or free product. Keep a tight focus. It can be tempting to compare your small business to the competition. Don’t! Keep the focus of your ads on what you have to offer. Even mentioning the competition can hurt the effectiveness of your small business marketing ideas. Look for free marketing opportunities. Your marketing strategy isn’t always going to be free, but you can increase your audience using free strategies. Some of the best free small business marketing ideas utilize Facebook, Twitter and other Internet-based tools. Give it away. No small business can hand out free goods every day and keep things solvent. However, just one event featuring free products can bring small businesses not only new customers, but also generate free publicity. This yield will probably more than make up for the expense of the donuts or pizza you are handing out at the door. Develop partnerships. There are always going to be companies in your customer area that complement what you do. Get together with them and offer package deals or other perks. This provides a mutual increase in exposure and customer base. Let your customer service work. Every problem or question that a customer submits to your business is a marketing opportunity. Often, a dissatisfied customer that got an excellent response will become your best marketing tool. Know how search engines work. The Internet increases the reach of every small business, but it should be used effectively for best results. Understand search engine algorithms and develop websites and articles with those in mind. Keep in mind that these can change over time, so keep your pulse on what companies like Google are doing to generate ratings. Use your tracking tools. A properly built website will always include tracking tools – use them! These can give you the inside track to your visitor demographic and help you target future small business marketing ideas to this customer base. Diversify and delegate. No small business owner is going to be an expert on every aspect of her or her operation. Luckily, you can save both time and money by sub-contracting parts of your marketing strategy to those with more experience. Tasks like copywriting, graphic design and advertising scripts are good candidates for delegation. 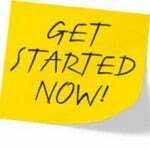 Affiliation can also be the best thing to do when you are starting a new business. Like if you are offering car repair services then you can have affiliation with car manufacturer. This will give good exposure to your business.